The RAM-2461U consists of a 1.5" rubber ball connected to a 3.625" square plate with a 75mm X 75mm VESA hole pattern. 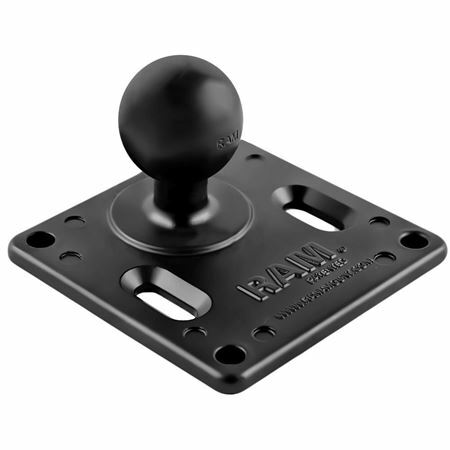 The RAM-2461U by RAM Mount consists of a 1.5" rubber ball connected to a 3.625" square plate with a 75mm X 75mm VESA hole pattern. The rubber ball is positioned 0.88" from the centre of one edge.